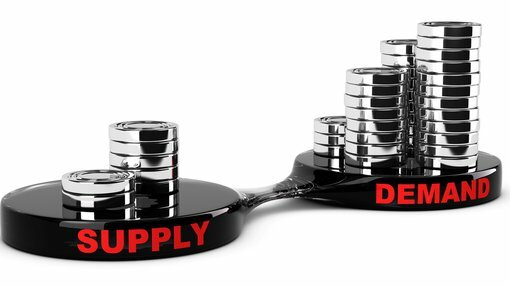 As we indicated last week when looking at the two-year price performance of cobalt, along with the commodity’s fundamentals and the share price performances of the world’s largest producers, the cobalt story still seems to be intact in terms of supply/demand dynamics. This was evidenced to a large extent in the major producers with the performance of the world’s second and third largest producers remaining very resilient. Admittedly, the performance of the world’s largest producer Glencore fell sharply in July, but this appears to be linked to an enquiry by the US Department of Justice regarding its handling of certain protocols. The most damage appears to have been done in the smaller end of the market with some stocks that are exposed heavily to cobalt exploration and development having fallen significantly. With this being the case, Finfeed.com has identified a clutch of five cobalt stocks that may be worth considering. However, if considering any of these stocks do seek professional financial advice for further information before making an investment decision. Before we look at the particular companies, there is one other issue that is worth considering. Another factor to throw into the mix is the potential acceleration in merger and acquisition activity, particularly as projects become more advanced and derisked. From a broader perspective, EY Asia-Pacific mining transactions leader, Paul Murphy recently told S&P Global that the value of M&A transactions in Australia over the March quarter soared to US$1.8 billion from US$439 million in the previous quarter. He believes that with stronger balance sheets and buoyant commodity demand, acquisitive growth will drive deal activity in Australia in 2018. Interestingly though, in looking at the big picture, Murphy said, “Acquiring battery mineral developers gave oil companies a growth option as the powering of mobility shifts from fossil fuels to EVs [electric vehicles]". This was in response to comments by Australian Mines (ASX:AUZ) managing director, Benjamin Bell who said that he had already had conversations with several oil companies who were, at this stage, merely on an information gathering expedition, but that could change within 12 months. Indeed, if you are a protagonist for the benefits of diversification, it would be difficult as a shareholder of an oil and gas company not to support initiatives aimed at accumulating alternative energy assets such as cobalt and lithium. Such a development could well drive cobalt stocks higher regardless of movements in the price of the commodity. What this again reinforces is that the movers and shakers of the energy industry concur that the likes of cobalt and lithium will be increasingly central to powering the world. In scoping out five potential cobalt stocks, what better place to start than Bell’s Australian Mines? With its arsenal of high quality cobalt assets that offer a mix of substantial exploration upside and relatively near-term production, Australian Mines presents as one of the pick stocks in the Australian cobalt sector. Not only does it have three projects with one expected to come into production by 2021, it is the only battery metals company in Australia with a 100 per cent offtake agreement secured for both its cobalt and nickel. As if this isn’t compelling enough, the company has also made substantial progress on the technological front, facilitating the production of battery grade cobalt sulphate and nickel sulphate from its demonstration plant in Australia. The fruits of its efforts in this area materialised at the start of July when the company announced that it was scheduled to deliver 40 kilograms of nickel sulphate (NiSO4) and 4 kilograms of cobalt sulphate (CoSO4) to Korean-based off-take partner SK Innovation (Sconi project), setting a new benchmark for the largest known shipment of battery-grade cobalt and nickel sulphates from Australian mined and processed ore. The demonstration plant is expected to continue to operate for the next 12 to 24 months and produce additional battery-grade material to supply SK Innovation’s EV battery manufacturing plants from ore to be sourced from the Sconi Cobalt-Nickel-Scandium Project in northern Queensland. Management expects to announce delivery of additional, and larger shipments of both battery-grade nickel sulphate and cobalt sulphate material to SK Innovation during October - November 2018. SK Innovation has signed a binding off-take agreement with Australian Mines for 100% of the cobalt and nickel sulphate production from the Sconi Project, for an initial seven year contract term with an additional six year extension option. Under the supply agreement, SK Innovation will take up to 12,000 tonnes of cobalt sulphate per year and up to 60,000 tonnes of nickel sulphate per year following a ramp-up period. Bell underlined some of the company’s unique achievements in saying, “The shipment of battery-grade cobalt and nickel sulphate that departs Australia this week for delivery to SK Innovation is not only the largest ever bulk sample export of these commodities produced using Australian nickel-cobalt ore, but it is also the first time an Australian resources company has produced cobalt and nickel sulphate samples without relying on a third-party commercial lab for any part of the process. Another possible share price driver for Australian Mines is the potential for positive news flow from the company’s Flemington and Thackaringa projects in New South Wales with mineral resource expansion drilling starting at Flemington in the September quarter. It has been confirmed that the ground at Flemington is an immediate continuation of CleanTeq’s (ASX:CLQ)Sunrise deposit. The other project also has a pretty good postcode, adjoining Cobalt Blue’s (ASX:COB) Pyrite Hill/Thackaringa project. A maiden drilling program will start in the September quarter. Accelerate Resources Limited (ASX:AX8) is another company with cobalt prospective projects located in promising locations. 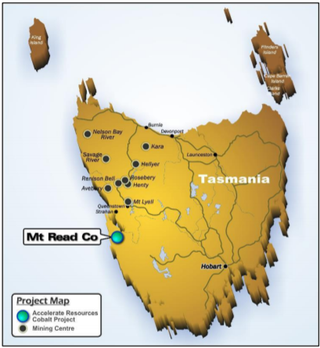 The company’s Mount Read project is situated in a belt of Cambrian volcano sedimentary rocks correlated with the Mount Read Volcanics (MRV) of western Tasmania, host to all of the state’s significant base and precious metal mines and mineral occurrences. From a geological perspective, management highlighted that the combination of volcanic and intrusive rock stratigraphic association, geochemical signature, alteration assemblages, sulphide assemblages, and geophysical expression has been used by previous explorers to draw analogies between Thomas Creek and the Mount Lyell copper-gold deposit of western Tasmania. Accelerate delivered encouraging news on the Mount Read Cobalt Project in recent weeks and follow-up assay results will provide management with an insight into the Thomas Creek cobalt-copper-gold prospect which is part of the broader project. This follows the discovery of multiple semi-massive pyrite veins at Thomas Creek. Drill hole TCDD003 ended at 358 metres, targeting a large IP chargeability anomaly directly below a surface sampling location which was sampled in 2017 and returned results including 3,300ppm cobalt, 1.52% copper and 0.59 g/t gold. A previous hole returned cobalt results from similar semi-massive pyrite veining including 3 metres at 0.23 per cent cobalt. Accelerate is also commencing surveying at the Young Henry cobalt-nickel target identified at the Mt Read project in Tasmania. The company aims to further define electromagnetic conductors within the ultramafic and mafic lithologies, which could potentially indicate accumulations of massive sulphides. There is still a lot of work to do here, so investors should take a cautious approach to any investment decision made with regard to this company. Geological field mapping, as well as soil and rock chip sampling is being undertaken in the area, during the survey. Previous exploration activity at the Young Henry and Henrietta prospects identified a belt of mafic to ultramafic rocks associated with a 1.4 kilometre long trend of airborne electromagnetic anomalies along the eastern mafic-ultramafic belt. Reconnaissance exploration by earlier workers in the area identified altered ultramafic rocks with anomalous values for nickel, cobalt and platinum. While Accelerate is more of an early stage exploration play, second half news flow from multiple exploration activities could bring the company under the spotlight. Castillo Copper Ltd (ASX:CCZ) is a multi-commodity explorer with its flagship project being the historic Cangai Copper Mine near Grafton in New South Wales. The project comprises a volcanogenic massive sulphide ore deposit, with its 3.2 million tonnes at 3.35 per cent copper making it one of Australia’s highest grade JORC compliant Inferred Resources for copper. While this makes the company an impressive base metal play, it also has some impressive cobalt assets in close proximity to proven deposits. Jackaderry, which includes Cangai Copper Mine, is in an area highly prospective for copper-cobalt-zinc and it is made up of three tenements. The Broken Hill project consists of two contiguous tenements prospective for cobalt-zinc that are located within a 20 kilometre radius of Broken Hill and just north of Cobalt Blue’s ground. The company also has two cobalt prospective projects in Queensland, one being Mount Oxide near Mount Isa and the other in the Marlborough region, north-west of Gladstone. Only last week the company signed a binding Heads of Agreement with A-Cap Resources (ASX:ACB) to form a joint venture to explore the highly prospective nickel-cobalt Marlborough project. A-Cap has agreed to invest up to $2.25 million over two years to fund exploration activities up to the completion of a bankable feasibility study which would provide it with a 60 per cent stake in the project. This leaves Castillo free carried with an interest of 40 per cent. This is a significant development for Castillo, as it is a win-win transaction on two fronts. Firstly, the company will be working with a first-rate strategic partner in ACB that brings project development expertise as well as prospective customers for nickel and cobalt in the all-important China market. Secondly, the earn-in joint-venture arrangement with ACB enables the Marlborough project to be optimised concurrently as the company focuses on re-opening the Cangai Copper Mine and developing the cobalt-zinc Broken Hill project. Marquee Resources Ltd (ASX:MQR) came under the spotlight in late July when the company received assay results from the first two holes drilled at its recently acquired interest in the Werner Lake Cobalt Project in Ontario, Canada. The results included 3.8 metres at 1.39 per cent cobalt including 1.6 metres at 3.2 per cent cobalt from 36 metres. Not only is this a prime cobalt bearing region, but it is a mining friendly country where regulators work collaboratively with project developers and there is an abundance of experienced ground workers and executives on hand. From an exploration perspective, Marquee has now completed 8 holes for just over 1.5 kilometres at the Werner Lake Project as part of its phase one drilling campaign. Assays from the first two holes demonstrate consistency of data from previous drill campaigns at Werner Lake where historic mine production was reported of 143,386 pounds of cobalt grading approximately 2.2% cobalt and 0.75 % copper. Marquee’s exploration drilling campaign at Werner Lake is primarily focused on narrow spaced drilling, which has been designed to increase the existing non-JORC Indicated NI 43-101 Mineral Resource of 79,400 tonnes at 0.43% cobalt which remains open in all directions. 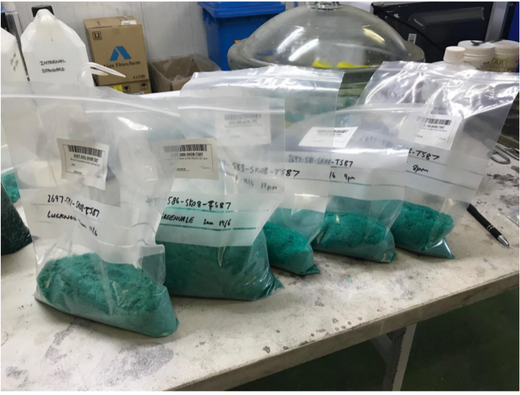 The company has been sending the core to the laboratory in batches and as such expects to announce further assay results in the coming weeks. Shares in Victory Mines Ltd (ASX:VIC) surged 14 per cent on Friday after management provided an overview of the geology at its two Western Australian cobalt-nickel-copper projects, Peperill Hill and Galah Well. These are located in reasonably close proximity to St George Mining’s (ASX:SGQ) Mount Alexander Project. Aeromagnetic imagery has identified multiple prospective primary mineralisation-bearing structures for cobalt-nickel-copper across the Galah Well and Peperill Hill projects in Western Australia. One of the key findings, highlighted by the preliminary interpretation of the aeromagentic imagery, was that the Peperill Hill and Galah Well projects are positioned close to where two, and possibly three, differing mineralised systems intersect as indicated below. Victory believes that this largely explains why the two projects are highly prospective for cobalt-nickel-copper mineralisation hosted within sulphides and laterites. Although it is an early stage play and investors should seek professional financial advice if considering this stock for their portfolio. 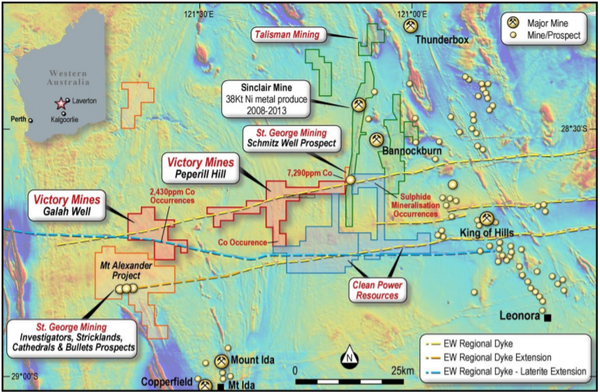 More specifically, management pointed to a north-south trending shear zone/magnetic anomaly that connects Talisman Mining’s (ASX:TLM) Sinclair Nickel Mine, which produced 38,000 tonnes of nickel between 2008 and 2013, with the SGQ Schmitz Well prospect. Further, the Schmitz Well is located on this same system where a significant cobalt intercept had occurred. A recent study by Wingate MTD purported that these east-west trending structures represented a new mineral province, yet to be confirmed, prospective for cobalt-nickel-copper and other metals. Victory is of the view that this assertion is supported by SGQ’s Mt Alexander drill-hole assays of 5.3 metres at 0.16% cobalt, 4.95% nickel, 2.75% copper and 4.55 g/t platinum group elements from 158 metres. These assays were released as recently as mid-June 2018. While it is early days for Victory, one would have to say it is targeting an area that has the propensity to yield positive results.